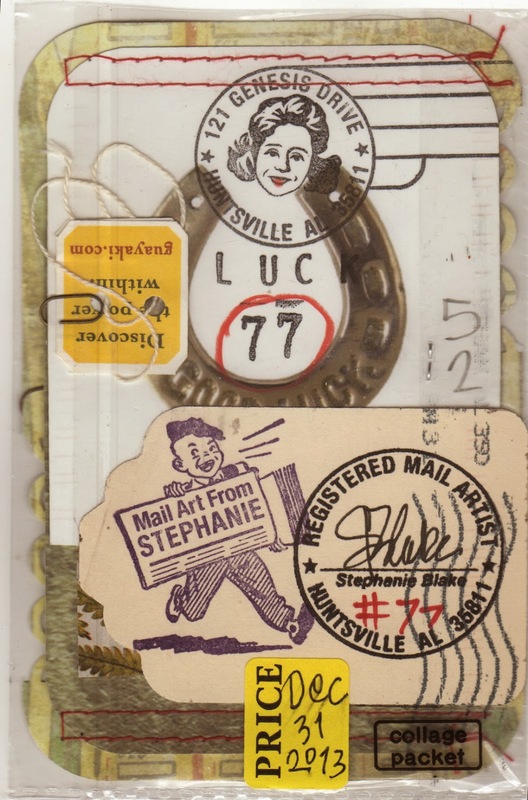 The Postal Ledger: Stephanie's sublime collages! Stephanie's collages are appealing on many levels! I admit to being partial to transparent envelopes, and Stephanies are more than a standard transparent envelope. She plays with layers in the way a painter plays with viscosity. 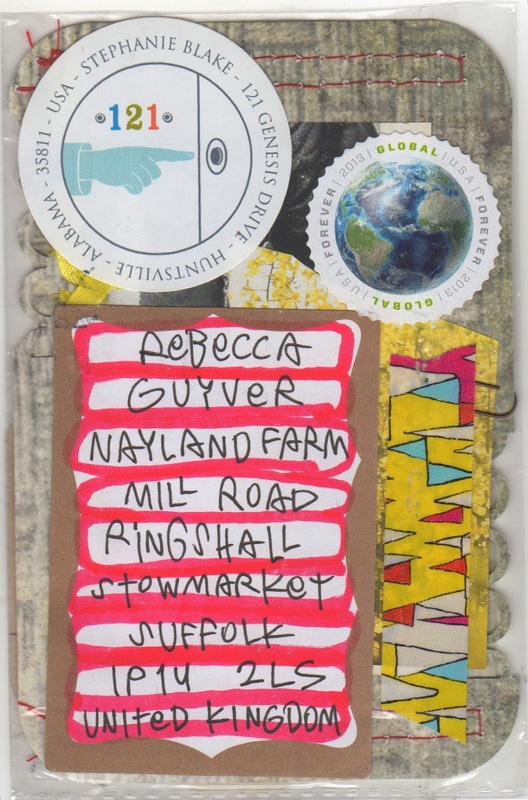 She's adhered wonderful colourful stickers and tape to the envelope, creating a particular layer/colour effect that is just very pleasing. Even Stephanie's handwriting has a particular charm and character! I love the way Stephanie tells a story. The way the book opens, lengthwise, is surprising and rewarding. no 527 - LUC 77 created on Dec 30, 2013 is a rural story featuring women with the suggestion of a man away. It is never explicit but it feels poignant and true!